People who grew up loving From the Mixed Up Files of Mrs. Basil E. Frankenweiler and Night at the Museum can now get pretty close to fulfilling their dream of spending the night surrounded by classic books and artworks. 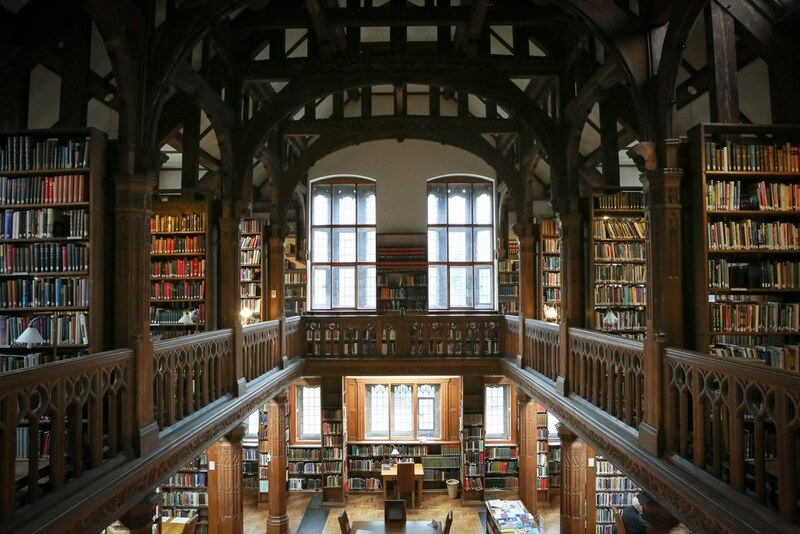 Although spending the night in a library isn’t quite the same as spending the night in the Metropolitan Museum of Art, Gladstone’s Library in Wales definitely has that same worldly, refined feeling. 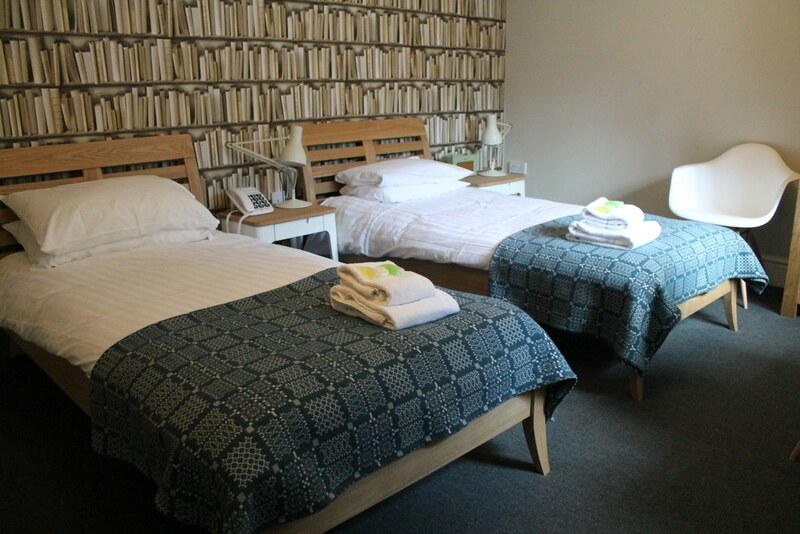 Gladstone’s, in the town of Hawarden, Flintshire, holds the distinction of being the only residential library in the U.K., which means that you can sleep in proper bedrooms instead of napping surreptitiously in the stacks. Booking one of the 26 rooms comes with many amenities: sure, the Wi-Fi, free coffee, vintage radios, and views of the Welsh countryside are nice, but any bibliophile would be thrilled to know that guests get access to the library, which holds 250,000 printed items, until 10 p.m., even though it closes to the public at 5 p.m. Best of all, it’s very affordable: rooms begin at just £63 ($77) a night, which includes free breakfast in the appropriately named on-site cafe Food For Thought. The rooms don’t have TVs, because you didn’t come all the way to a library just to watch TV. Gladstone’s Library gets its name from William Gladstone, a former Prime Minister who was elected to a record four terms. Gladstone was a renowned book lover and accumulated more than 30,000 of them during his lifetime. After retiring from politics, he lived in Hawarden Castle in Wales. When he died in 1898, a collection began to build a permanent home for the books that anyone in the community would be able to access, and the library was built not long after. To get to the library, your best bet is either driving or taking the train to the nearby town of Chester, which is known for its famous zoo. If you were hoping for a holiday getaway, though, keep one thing in mind: The library and its hotel close for the season on December 18 and reopen on January 3. It’s also worth knowing that Food For Thought has an afternoon tea on weekdays only, and there’s a proper Sunday roast as well. For the full Gladstone experience, Hawarden Castle’s grounds are open for visitors, and you’ll be likely to run into locals out walking their dogs or having picnics in the warmer months.